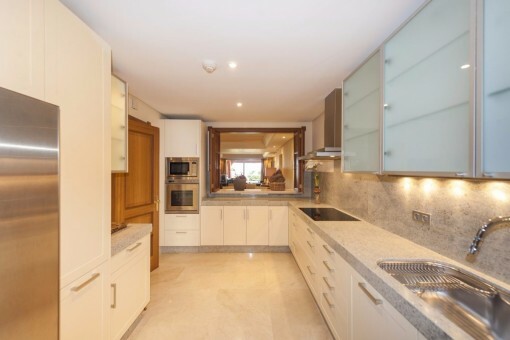 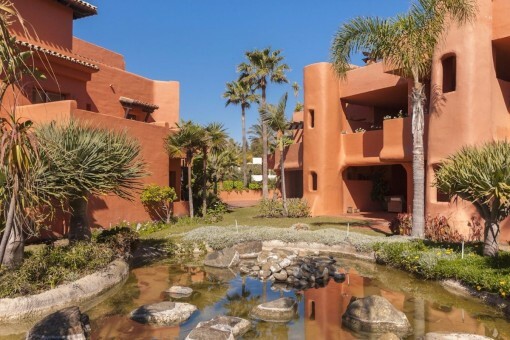 The urbanization is located on the beautiful Los Monteros beach, east from Marbella. 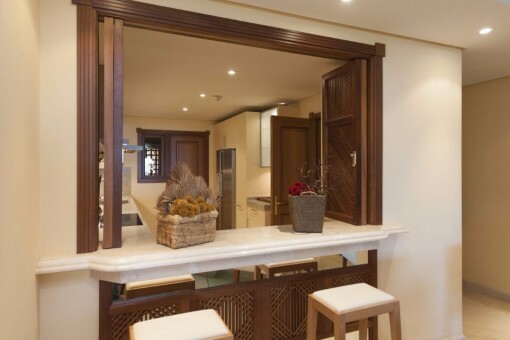 This exclusive urbanization boasts luxurious design and is built with first class materials. 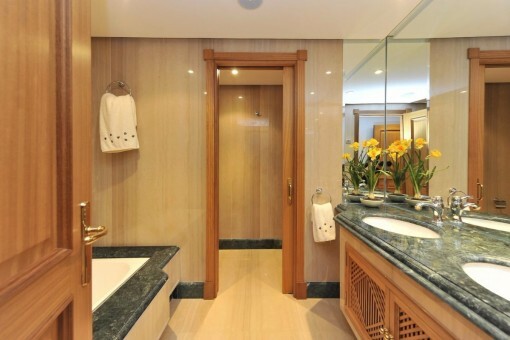 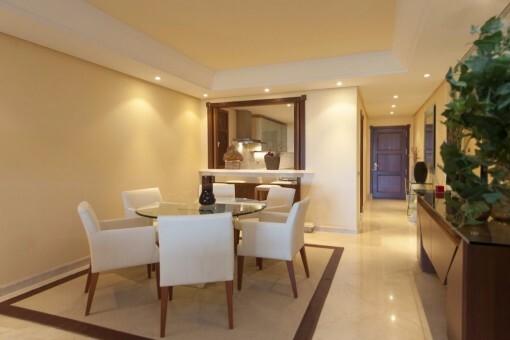 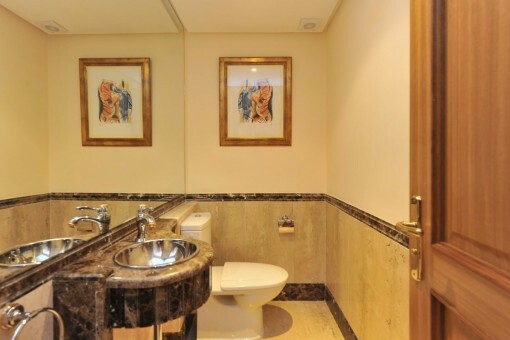 Consists of 45 units of 2, 3 and 4 bedroom apartments and penthouses. 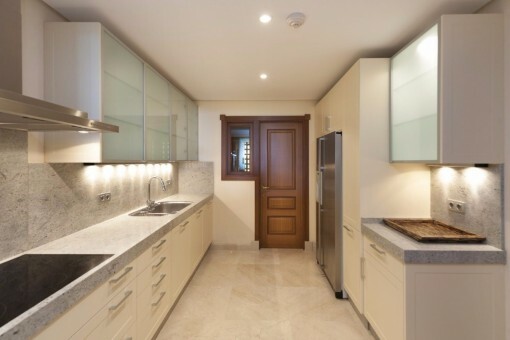 Some of the exceptional qualities the apartments offers include spacious layout, fully furnished kitchen equipped by Gaggenau electro domestics, hydro massage bathtub and Jacuzzi. 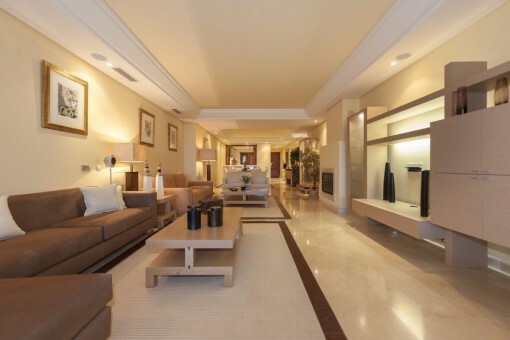 With state of the art installations, the urbanization has communal areas including gym, sauna and heated indoor pool. 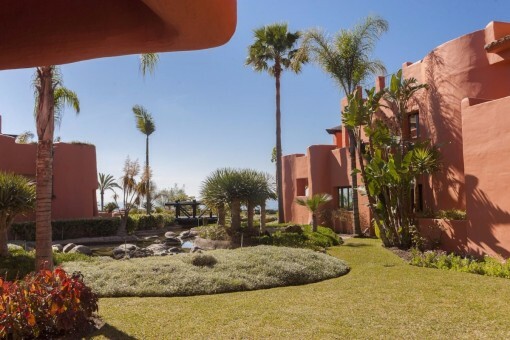 Located first line beach with direct access to the sea, offering stunning mountain and sea views as well as views to Gibraltar and Africa. 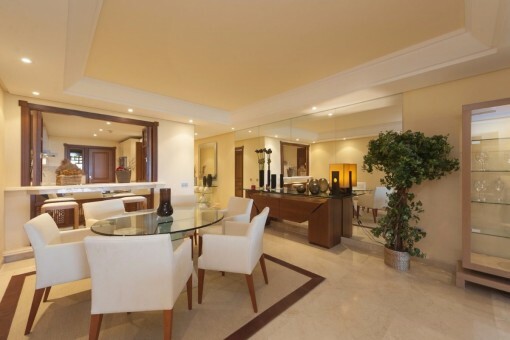 Luxury apartments designed by the renowned architect Melvin Villarroel. 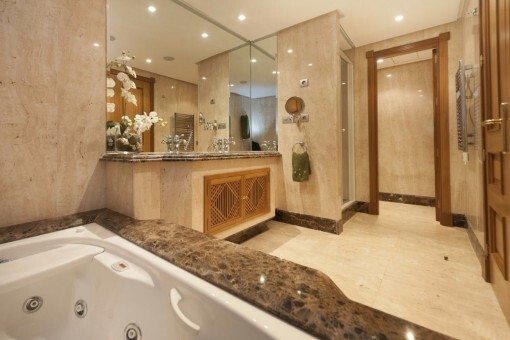 In addition to the 2, 3 and 4 bedroom apartments, the urbanization includes spectacular duplex penthouses with Jacuzzi and barbecue area on the terrace to enjoy the stunning views. 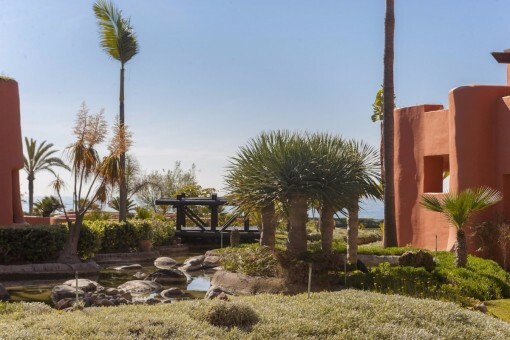 The urbanization has more than 10,000 m² of lush tropical gardens and an outdoor pool with incredible views. 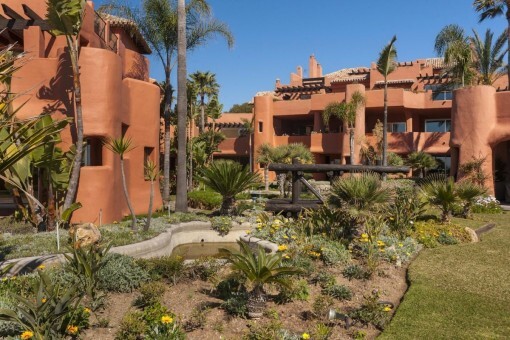 The gated community is controlled by 24 security surveillance. 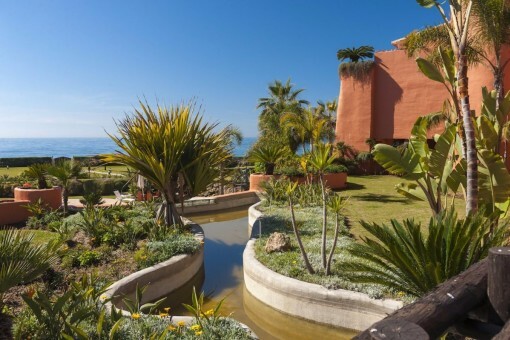 The gardens are surrounded by small walkways to enjoy the serenity and take in the spectacular sea views. 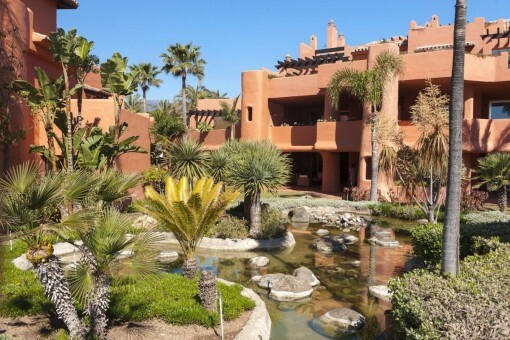 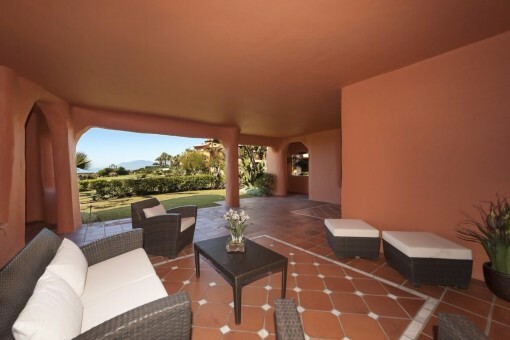 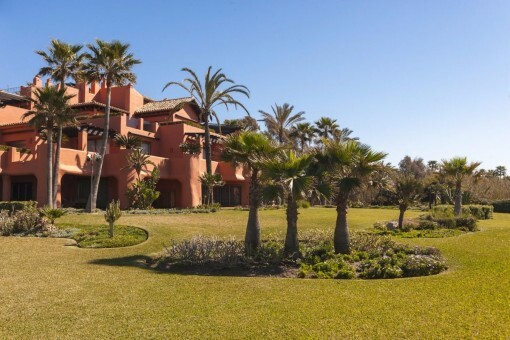 The urbanization is located inside the Los Monteros natural reserve guaranteeing complete privacy and tranquillity. 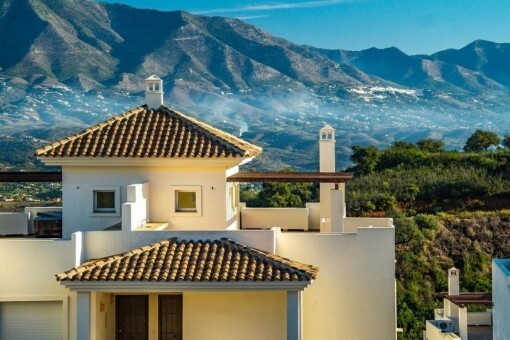 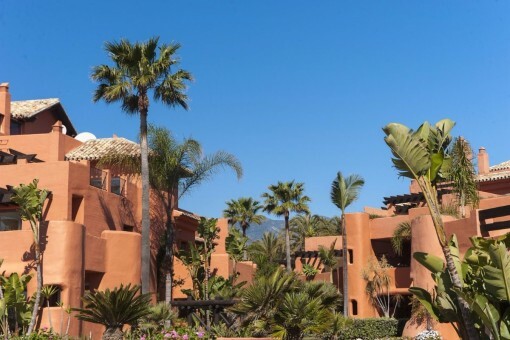 The first line beach urbanization is located inside the Los Monteros natural reserve, east from Marbella and only 5 minutes drive from the city´s center. 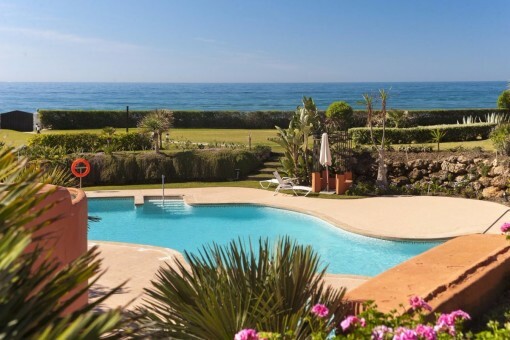 Only 15 km away from Puerto Banus luxury port with exclusive boutiques and the best restaurants. 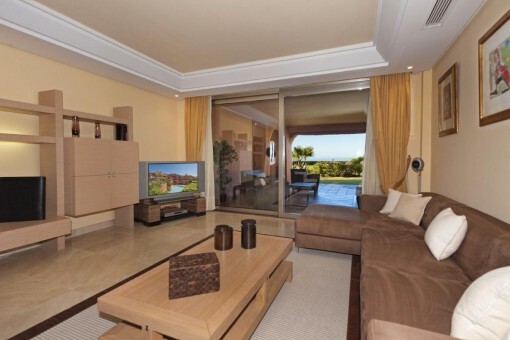 Excellent area for golf enthusiasts with various first class golf courses in radius of 6 km. 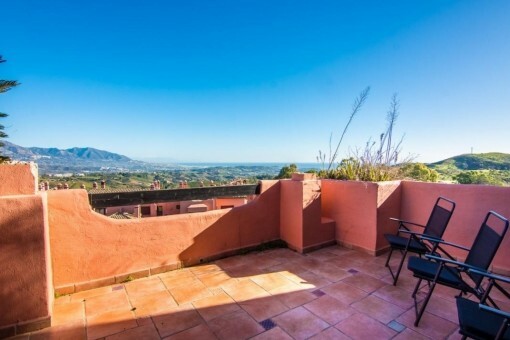 Just 50 km from Malaga international airport and 80 km from Gibraltar airport. 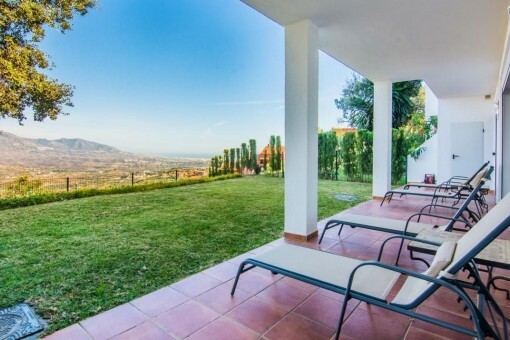 The area offers a variety of services and activities: schools, institutes, supermarkets, hospital, sport centers and green areas. 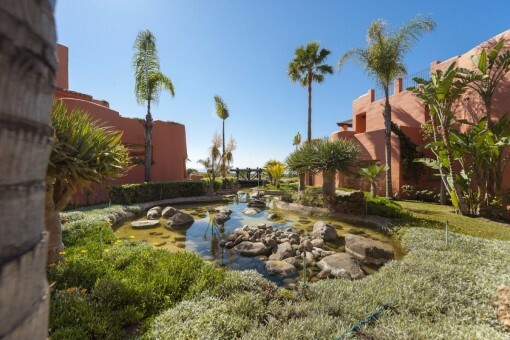 Ideal for people looking for a place to enjoy the sun, luxury, tranquillity, golf and Costa del Sol. 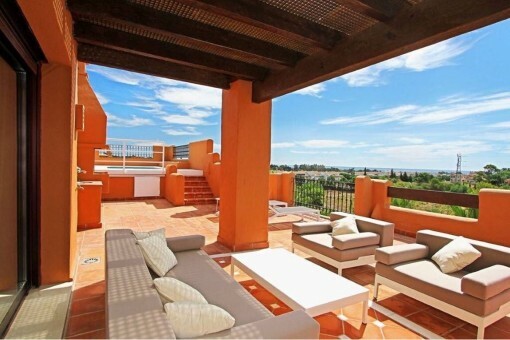 I'm interested in: Excellent apartments with overwhelming views to the sea (Objekt-Nr.118820V). 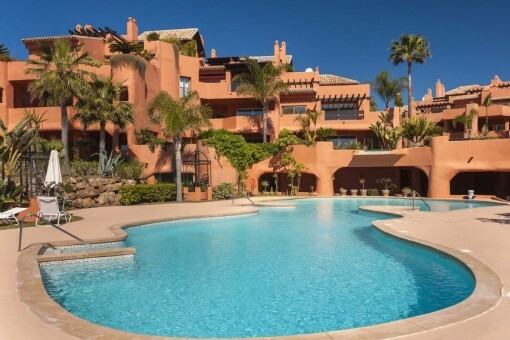 you are reading: Apartments for sale in Marbella, with spacious pool and views to the sea · Porta Andalucia Rating 5,0/5 by 2 testimonials.